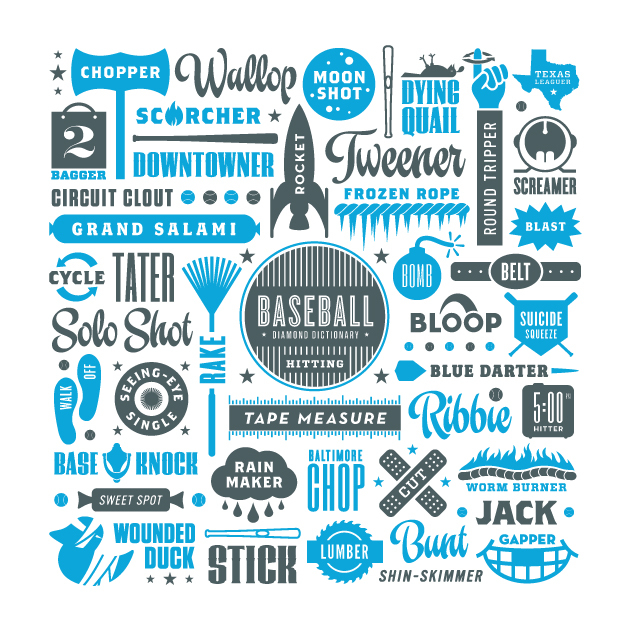 Over the years, baseball has developed it’s own rich language, including terms that that have slipped into our everyday language. 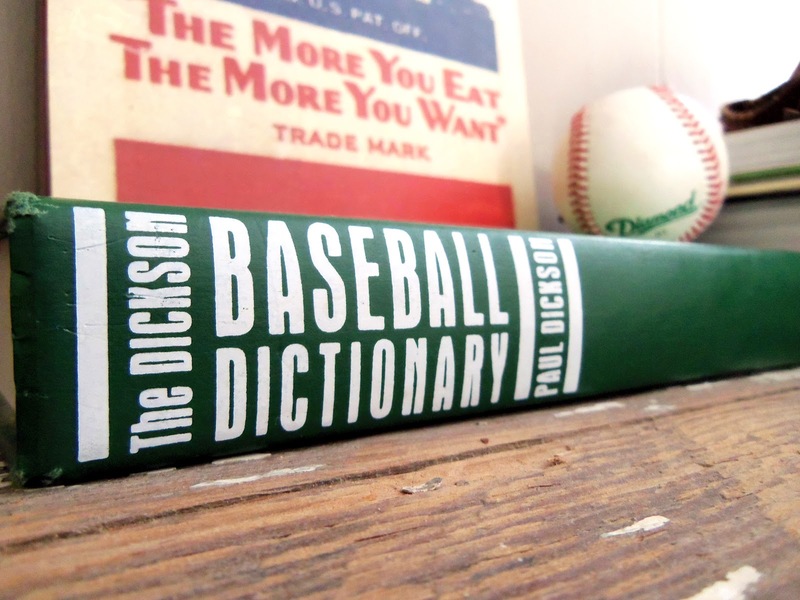 But some of baseball’s more obscure terms can be confusing for a beginning fan. 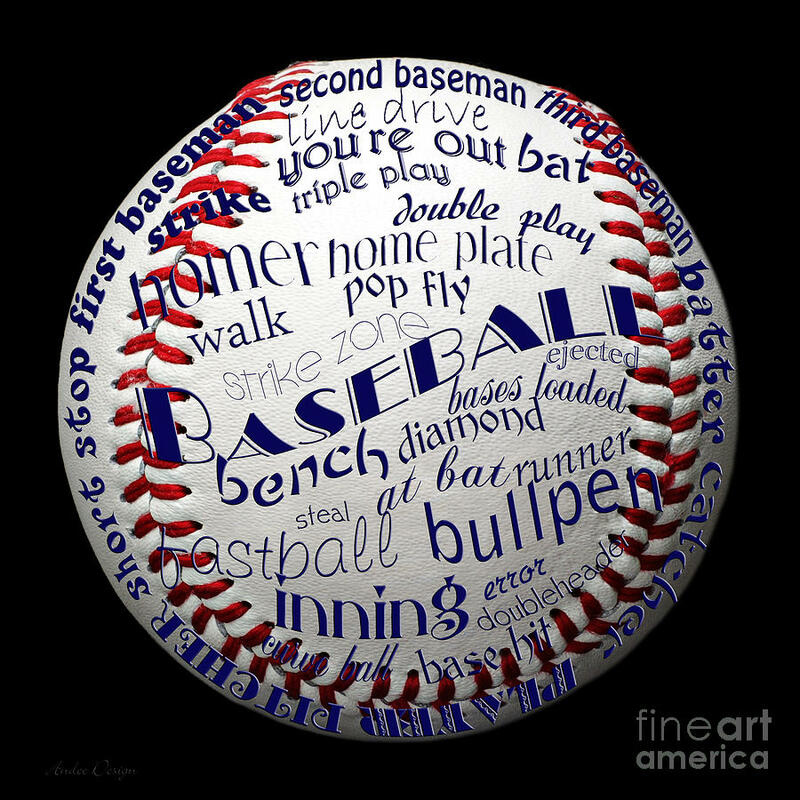 We’ve compiled a complete glossary of baseball terminology below. It’s in alphabetical order so the next time you wonder what the play-by-play man means when he mentions a “Punch and Judy” hitter, you can just refer to our handy-dandy list. 4-bagger — a home run. 5-tool player — a player who can run, field throw, hit for average and hit for power. ace — a team’s top starting pitcher. ahead in the count — the batter or pitcher who has the advantage in balls or strikes during an at-bat. airmail — an errant throw that sails over its intended target . alabaster blast — a ground ball that hits home plate (or around home plate) and takes a big hop over the infielders. around the horn– when a double play goes from third base to second to first. aspirin pill — a hard to hit fastball. ate him up — a difficult to field ball. backdoor slider — a breaking pitch that swings into the strike zone at the last moment. bad-ball hitter — a batter who excels at hitting pitches out of the strike zone. Baltimore chop — a ground ball that hits home plate (or around home plate) and takes a big hop over the infielders. banjo hitter — a batter who lacks power. bandbox– A ballpark with smaller dimensions or that plays small. bang-bang play — A play in which the runner reaches the bag a split-second before the ball arrives or vice versa. bare hand it — when a fielder uses his bare hand rather than his glove. base knock — base hit. baseball Annie — female baseball groupie. bases loaded — runner on every base. basket catch — When a fielder catches a ball with an open glove near his belt level. batter’s eye — a dark, crowd-less area beyond the centerfield wall that acts as a visual backdrop for a the batter. BB — a line drive. behind in the count — opposite of ahead in the count. bench jockey — a player, coach or manager who tries to annoy the umpire or their opponent from the dugout. bigs — the Major League. brushback — A pitch that nearly hits a batter with the intent to intimidate or send a message. bush league — an amateur play or behavior. caught looking — when a batter is called out on strikes. caught napping — when a base runner is tagged out because he wasn’t paying attention. check the runner — when a pitcher looks toward a runner on base. chin music — a high and inside pitch that cases the batter to jerk his head. clean hit — a base hit that isn’t touched by an infielder at all or an outfielder before it bounces. clutch — a player who performs well in pressure situations. comebacker — ground ball right back at the pitcher. command — a pitcher’s ability to throw where we wants. contact hitter — a hitter who rarely strikes out. crooked number — an inning a team scores more than one run in. crossed up — when a pitcher throws a different pitch than the catcher requested. crowd the plate — a hitter he positions himself on the inside of the batter’s box. cup of coffee — when a minor leaguer has a very brief stay in the major leagues. curtain call — when a player comes forward from the dugout to salute the fans after a homerun. cutter — a late breaking fastball. cycle — When a batter hits a single, double, triple and home run in the same game. daisy cutter — a hard ground ball. dead arm — when a normally effective pitcher loses his ability for a period of time due to fatigue. dead pull hitter — a hitter who almost always hits the ball to the side of the field he bats. defensive indifference — when a baserunner is allowed to take a base by the defense. dinger — a home run. ding dong — a home run. double play depth — when the middle infielders play a little deeper and closer to second. double switch — when a manager makes a pitching and fielding switch simultaneously, effectively changing the pitcher’s slot in the lineup. double up — when a baserunner is the second out of a double play. drag bunt — a bunt that you try to drag past the pitcher and record a base hit on. dying quail — a blooper toward the outfield. eephus pitch — a slow pitch with a softball like trajectory. excuse me swing — when a batter inadvertently makes contact on a check swing. first ball hitter — a batter who looks to swing at the first pitch of an at-bat. fisted — when a batter fights off a pitch near his hands. five-tool player — a player who can run, field throw, hit for average and hit for power. flare — short flyball toward the outfield. flashing the leather — a superlative defensive play. flat track bully — a hitter who thrives off of poor pitchers. fluke hit — a base hit due to luck rather than skill. four-fingered salute — a walk. four-seam fastball — a standard fastball without much break. fungo — a ball hit to a fielder during practice. get off the schnide — break out of a hitless slump. go down in order — an inning in which no batter reaches base. go yard — home run. golden sombrero — when a batter strikes out four times in a game. golfing — swinging at a low pitch. gopher ball — a pitch hit for a home run. got a piece of it — fout tip. grand slam — homer with the bases loaded. green light — when a manager allows a hitter to swing on a 3-0 or 3-1 count. groove a pitch — a pitch down the middle of the plate. guess hitter — a batter who doesn’t try to read the pitch in the air. gun down — to throw out a baserunner. handcuff — a groundball that jumps right up at a fielder. heat — A good fastball. help his own cause — when a pitcher produces at the plate. hidden ball trick — when a fielder tags a runner out be pretended he doesn’t have the ball. hit the ball on the screws — make solid hard contact. hold the runner on — when the first baseman plays close to the base to prevent a big baserunner lead. homer — a four base hit. hose — strong outfield arm. hot corner — Third base. hot stove league — offseason gossip and trade rumors. humpback liner — a hit toward the deep infield/shallow outfield which is between a line drive and fly ball. inherited runner — a runner on base when a relief pitcher enters the game. innings eater — a pitcher who goes deep into games. insurance run — a late inning run to pad a team’s lead. in the hole — The batter after the on-deck hitter. jack — a home run. jam — when a pitcher is in trouble. junk — breaking pitchers as opposed to fastballs. keep of the boards — don’t allow the other team to score. knee-buckler — a breaking pitch with freezes the hitter. lace — to hit a line drive. laugher — a game that isn’t close. launching pad — a ballpark conducive to home runs. leather — in reference to a player’s glove or general defensive ability. leg out — to run hard to beat out an infielder’s throw for a base hit. lights out — a dominant pitching performance. live arm — a pitcher with a big fastball. long ball — home run. loud out — an out that initially looked like it would be a hit. magic number — the number of wins or second place team loses a team need to clinch a division. manufacturing runs — moving the running base by base — often using outs — before he scores. masher — home run hitter. meat — a rookie or an easy out. meatball — an easy pitch to hit. middle relief pitcher — a reliever brought in between the fourth and seventh inning. mistake hitter — a hitter who thrives off of bad pitches. motor — a players ability to run fast. mustard — a pitch with a little extra speed than usual. Nintendo — to strike a batter out on three straight pitches. no-decision — when a starting pitcher gets neither a win nor a loss. no-hitter — when a starting pitcher completes the game without allowing any hits. o-fer — when a hitter goes a game without getting a hit. off-speed pitch — change up. on-deck — the next batter up. on his horse — running at full speed, usually in the field. on the black — a pitch that just nicks the strike zone. on the board — a team’s first run of the game. on the screws — when a batter hits a hard line drive. opposite field hit — a batted ball to the opposite field as the hitter’s natural swing. out pitch — a pitcher’s best pitch. parachute — a fly ball that seems to drop right down into a fielder’s glove. paste — to hit a ball hard. payoff pitch — a pitch thrown with a full count. peg — a well thrown ball from the field. perfect game — a complete game by the starting pitcher in which there are no baserunners. phantom tag — when the umpire erroneously calls a baserunner out despite the fact he wasn’t tagged with the ball. pick — a slick, clean fielding play on a difficult ball. pitch around — deliberately not throwing a hitter strikes. pitch count — number of pitches a pitcher has thrown. pitcher’s duel — low scoring game. pitchout — throwing a wide intentional ball in hopes of catching a base runner stealing. pivot man — when the second baseman pivots to turn a double play. platoon — starting two different handed batters at the same position depending on the opposing pitcher. playing in — when the infielders move in in anticipation of a bunt or to keep a runner at third base. plunked — hit by pitch. poke — a solidly struck base hit. power hitter — hitter with home run abilities. punch out — a strikeout. purpose pitch — an inside pitch with the intention of moving a batter off of the plate. quality start — when a pitcher goes at least 6 innings and gives up three or fewer runs. quick pitch — when pitcher releases the ball faster than usual to deceive the batter. quiet bats — an offense which isn’t producing hits. rabbit ears — a baseball player who responds negatively to bench jockeying. rainbow — high arcing curveball. rake — to hit the ball hard to all parts of the field. rally — a late inning comeback. rally cap — a baseball hat worn in comical way (often inside out) to encourage a rally. range — a fielder’s ability to cover ground. relay throw — when an infielder takes a throw from an outfielder and then throws it to a base. rhubarb — a fight or scuffle. room service — an easy ball hit right at a fielder. rubber arm — a pitcher who can pitch lots of innings without tiring. rubber game — the deciding game of a series. run-down — when a baserunner gets caught between bases by the fielders. sabermetrics — analysis of baseball through statistics. safety squeeze — a bat with a man on third in which the runner doesn’t run on contact. seed — a hard hit ball with little arc. seeing-eye single — a soft ground ball that barely alludes the infielders for a base hit. sent down — when a player is demoted to the minor leagues. sent to the showers — when a pitcher is removed from the game due to ineffectiveness. set the table — get on base in from of a power hitter. seventh-inning stretch — period between the top and bottom of the seventh when fans are encouraged to stretch their legs. shoestring catch — a running catch made just above the fielder’s shoes. show bunt — when a hitter indicates he is going to bunt by bat positioning. shutout — when a team scores no runs during a game. slap hitter — a hitter who tries to control the ball, rather than drive it. slugfest — a high scoring game. slurve — a cross between a curve ball and a slider. smallball — an offensive strategy involving moving runners from base to base, often employing tactical outs. southpaw — a left-handed pitcher. spike –when a runner injures a fielder with the spikes on his shoes. spitter — a pitched ball that has been illegal altered with spit or other lubrication. splits — a player’s performance broken down into categories such as home and away or vs. right handers and vs. left handers. spot starter — a starting pitcher announced on short notice, often due to injury. squeeze play — a bunt which attempts to score a runner from third base. stepping the bucket — an open batting stance. stopper — the team’s best starting pitcher. submarine — a pitcher who throws sidearm. suicide squeeze — a squeeze bunt in which the runner on third goes on the pitch. sweet spot — the meaty part of the bat just a few inches from the barrel. swingman — a pitcher how can be used as either a starter or long relief pitcher. tablesetter — batter whose job it is to get on base so other’s can drive him in. take a pitch — when a batter decides not to swing before the pitch is released. tape-measure blast — an extremely long home run. tattoo — hit the ball very hard. Texas Leaguer — a bloop hit between the infield and outfield. three true outcomes — home runs, strikeouts and walks. through the wickets — a ball between a fielder’s legs. tools of ignorance — catcher’s equipment. took the collar — being held hitless. tomahawk — hit a high pitch. touch ‘em all — hitting a homerun. touched up — a pitcher who is giving up a lot of hits. turn two — execute a double play. twin killing — a double play. Uncle Charlie — curve ball. utility player — a player who can fill in at many positions. wallop — a home run. warning track power — a batter who can hit the ball fairly deep, but doesn’t get many homers. web gem — great defensive play. wheelhouse — a hitter’s power zone. Typically waist high. wheel play — when a corner infielder charges home and a middle infielder covers his base during a bunt. wheels — a players legs when referencing speed. worm burner — a hard ground ball. yakker — big breaking curveball. yanked — a pulled ball that stays fair. yellow hammer — curve with a very sharp break. zinger — a solidly struck base hit. zip — speed on a pitch.